VALPARAISO, Ind. 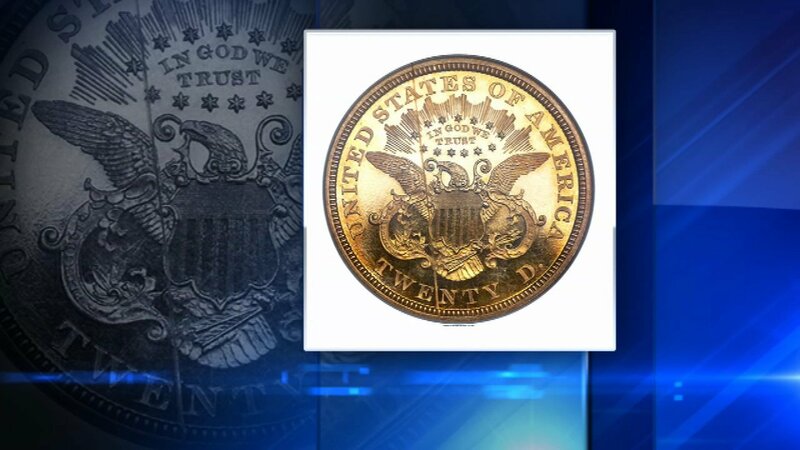 (WLS) -- A rare gold coin donated to an Indiana church in order to keep its hopes for a new building alive has sold at auction for $517,000. A parishioner at GracePoint Church in Valparaiso, Ind., gave the church the coin when the mobile church was uncertain it could pay a $300,000 guarantee on a physical location in time to keep the space. The woman's late husband had purchased the coin in 1993, and she said it survived a theft in her home four years ago. Initially, they were confused by the donation. But the coin turned out to be rare and valuable. Minted in 1866, the $20-denomination gold coin is one of only ten known surviving liberty double eagles with the "In God we trust" motto. Amid spirited bidding at a public auction Thursday, April 27, the coin was sold for $517,000. The pre-auction estimate was $300,000. Once the Dallas-based Heritage Auctions examined and valued the coin, they wired $150,000 to the church so they would not miss their payment deadline.